Congratulations on your engagement! You have the ring and have set the date, but are unsure of where to begin with planning your dream wedding day. I know it can get overwhelming when you try to start planning on your own, especially if you have a busy schedule already. Now to decide if you should hire a planner or tackle planning your wedding on your own. I feel that every single bride deserves and needs a wedding planner. Wedding planners are no longer considered a luxury and are not that expensive in the grand scheme of things. As a wedding planner I am there to make your wedding planning experience fun and as stress free as possible. Here are the top 10 reasons why you should hire a wedding planner. As a planner it is my job to make sure we allocate all of your wedding budget appropriately. A lot of brides that plan their own wedding end up spending too much money in certain categories then doesn’t have enough left to cover other necessary expenses. This could be avoided with the proper knowledge of how much everything was actually going to cost. The first thing I do for my full service planning clients is set up their estimated budget. Once I know their wedding budget I can go in and set up their estimated budget that will list every single item and service they may need for their wedding with an estimated amount beside each item. As a planner I know how much things actually cost and make sure every little thing is listed on the budget so there are no surprises at the end. I hear of brides that rush out and start buying stuff for their wedding as soon as they are engaged. Little do they know a lot of the items they rush out to buy are items they really didn’t need to purchase in the first place because their florist or caterer may already provide that item. Did you know that wedding planners spend 200-300 hours planning a single wedding? Do you have that many hours to spend planning and researching your wedding yourself? Most couples don’t have the time or simply don’t want to spend the time they do have consumed with wedding planning and research. As a planner it is my job to take the bulk of planning and research off of your plate so you can focus on just being engaged. I act as a middleman between you and all of your vendors so you are not having to answer emails and phone calls from them. As a full service wedding planner I would be doing most of the planning so your monthly “to-do” list would not be as involved as it would be if you were planning your wedding on your own. Having an experienced wedding planner should ease your mind since they know what they are doing. 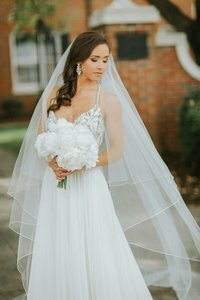 You won’t have to worry about selecting the best vendors for your style and budget, going to the best dress shops, which caterer to go with, and so many other things. Your planner has your back and wants to plan the wedding of your dreams. 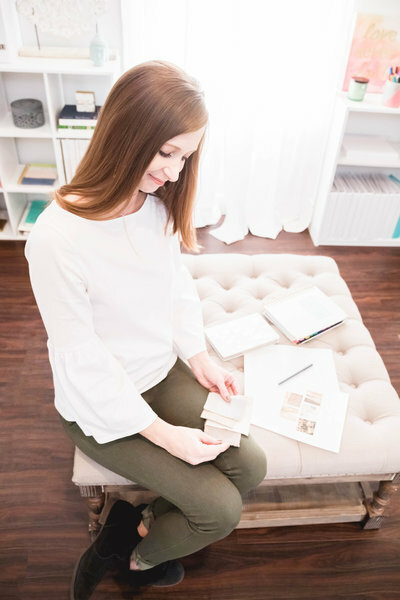 Your planner will keep you on track with your wedding budget and will keep you on schedule throughout the planning process. You may find that it’s hard to create a cohesive design with all of your many ideas. 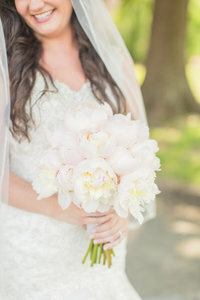 A full service wedding planner will take all of your ideas, likes, dreams, and personality to create your dream wedding. From the wedding logo, stationery, flowers, food, floor plan and more….a planner will ensure everything flows together seamlessly. This is my favorite part of the wedding planning process! I love creating Style Guides for my client’s that shows them how their wedding will look…from the color palette to the dresses to flowers and rentals…everything is listed in these Style Guides. A wedding planner will be able to offer recommendations and valuable insights for other wedding vendors. They will know which vendors you can hire based on your budget that will be the best fit for you and your needs. You won’t have to spend countless hours researching and comparing different vendors if you hire a full service wedding planner. A planner will give you a list of suggested vendors from each category that are a great fit for you. As a planner the relationships I have built with other vendors is priceless. Vendors love when couples have a planner because they know their job is going to be a lot easier and stress free. An experienced wedding planner is going to be able to give you the best advice when it comes to your wedding. They will be able to recommend the best venue based on your guest count and style, which cake baker and/or florist can truly give you the look you are wanting, the band that will keep your guests on the dance floor the entire night, and the best caterer just to name a few things. As a planner it is my job to know the in’s and out’s of every venue and vendor in my area so I can make the best recommendations for each and every client’s needs. A wedding planner will remind you when certain checklist items are due, will remind the Groomsmen and Bridesmaids to get fitted for their tuxes and dresses, will know when to mail your save the dates and invitations and will give you deadlines and remind you of them for every single thing. You won’t have to worry about keeping up with payment due dates and other deadlines. Your planner will do all of this for you! 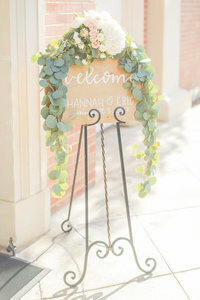 Having a wedding planner or wedding day coordinator present on the wedding day is so important. Even if you can’t hire a full service wedding planner hiring a planner for wedding day management is so needed. You may not even realize how much you need one until your actual wedding day. There always seems to be something that doesn’t go exactly as planned. As a wedding planner I know how to handle each and every situation and make sure that the bride and her mother never know there was a problem (unless they are the one involved in the problem)! Our wedding day emergency kit is one item that saves a lot of problems on the wedding day. There is ALWAYS something that the bride, groom or wedding party needs and you can bet it’s going to be in our emergency kit. I like to prepare for the worst, but plan for the best. Our sewing kit has been the most needed item in the emergency kit. At our last wedding when the bride put her dress on she realized there was a big hole underneath her arm. No worries thanks to my amazing wedding director, her dress was fixed in about ten minutes. I can think of countless other times when someone has lost a button, when a bustle has broken, or a dress has ripped. A sewing kit is a must for every wedding whether you hire a wedding planner or not. Sometimes it’s a simple problem like a groomsman forgetting his black socks, but other times it’s a bigger problem. A planner is going to make sure the problem is fixed as fast as possible. A wedding planner will act on your behalf on the wedding day and will be the go to person for all of your wedding vendors. You won’t have to worry about the cake arriving on time or if the officiant shows up. A planner will give you peace of mind and will allow you to enjoy every minute of your wedding day. A planner will keep you on schedule and will let you know when to do each and every single thing on your big day. If your rental company has a question about the floor plan they are not going to call you on the wedding day while you are trying to get dressed. If you hire a wedding planner they will be the one handling all of those many vendor questions so you can enjoy just being The Bride! At the end of the reception your planner is going to make sure you get all of your personal items back, will load your wedding gifts and other items you or your parents will be taking and will be the last vendor to leave.